After 12 years of of working at the supermarket, I’ve decided to call it quits. I came to the realization last week that working a full-time job, being a part-time graduate student and working part-time at the grocery store was a bit overwhelming. I wasn’t getting enough sleep and I couldn’t devote the appropriate amount of time to school work. Something had to go, so I decided to bid adieu to the first job I ever had. 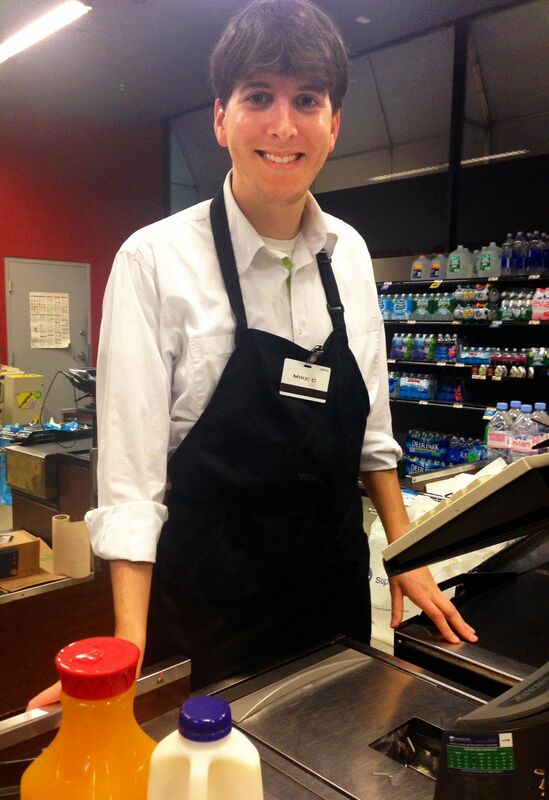 I started working at the supermarket when I was 16 years old, and I’ve met some great people and had wonderful experiences along the way. I’ve also encountered my fair share of crazies and been placed in highly stressful situations. Nevertheless, my time there was well spent and I have no regrets. I’ve been telling my “regulars” (i.e., customers I ring up on a consistent basis) that this is my last week and many of them have said “this place won’t be the same without you” and “I’m going to miss you.” Hearing this made me realize the impact I’ve had on certain customers and the impact they’ve had on me. Yes, I may not be best friends with these people outside the store, but, in some cases, we’ve spent the past 12 years together and with it came a lot of laughter and memories. Some of these people have shared their most personal triumphs and failures with me and I’m honored that they felt comfortable doing so. While I look forward to catching up on sleep and hitting the books, I’ll miss certain elements of my time at the supermarket. Thankfully, 12 years behind the register has provided me with a plethora of humorous and touching stories that I look forward to sharing with you. Similar to my supermarket stories blog posts, they will capture the essence of my memorable encounters with customers and colleagues. Stay tuned for more details. I haven’t posted a supermarket story in quite some time, so I decided to use the webcam on my new Alienware laptop to record one for you. Enjoy! Almost all of my shifts at the supermarket are six hours. 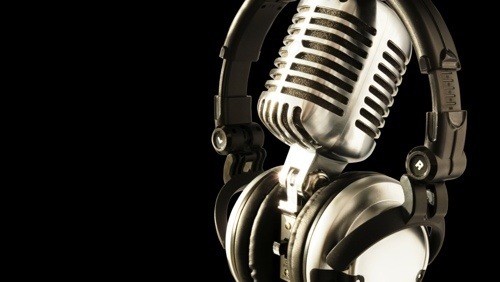 To kill the time I regularly engage customers in conversations about a variety of subjects – music, dating, the stock market, and, sometimes, food. Doing so has helped me gain a reputation for being one of the nicest cashiers at the store. Besides praising me for being good at my job, some customers – both male and female – will compliment me on my looks. This doesn’t bother me in the least. I’m grateful that people of different ages, races and sexes find me attractive. On a crappy day, having some old lady tell me I look “like a movie star” makes me feel like a million bucks. However, when customers cross the line, it can get creepy. 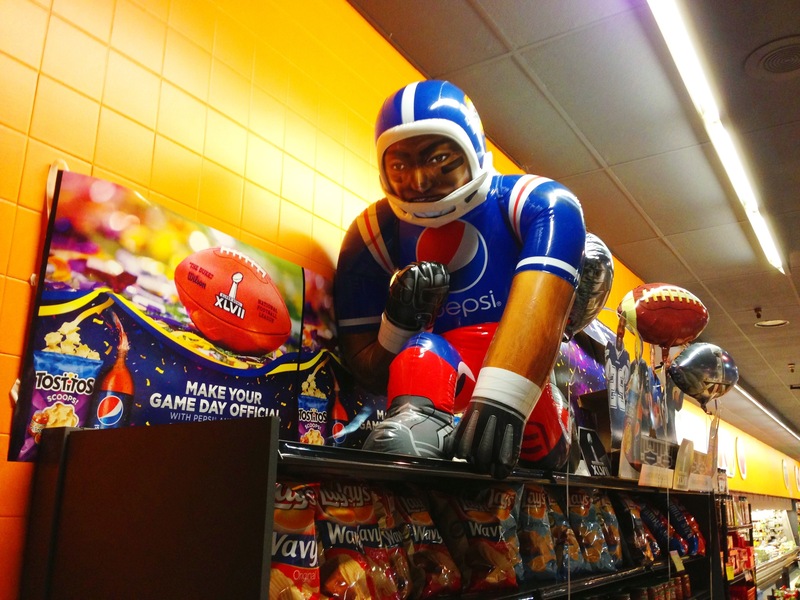 One night, several years ago, I was in the express lane ringing up countless customers. My line stretched all the way to Egypt, and I was doing my best to get them in and out as quickly as possible. Even though I get paid by the hour, and not per customer, I still take pride in being efficient and establishing a quick, rhythmic pace. This results in me getting lost in the moment and time slipping away like grains of sand. After the rush of customers had gone home to have dinner, I let out a sigh of relief and took a swig of water. When my eyes landed on my next customer, I instantly recognized him; he lived in the neighborhood and, based on the scrubs he always wore, worked at a hospital. We’d never spoken outside the store and I didn’t know his name, but I still “knew” him. However, this time he was accompanied by another man, whom I didn’t know. After placing his items on the conveyor belt, I greeted him and he drunkenly slurred, “Hello handsome.” His friend, who I quickly deduced was his partner, yelled at him: “Jack, stop that!” Jack continued by saying, “I’ve seen you outside the store. You look good in regular clothes.” Needless to say, I was mortified. This customer was drunk and hitting on me, in front of his boyfriend no less – who kept yelling “Jack!” every time he said something inappropriate. All I could do was say, “Do you have your savings card?” and get him out of my line as quickly as possible. After he left, I never saw Jack at the supermarket or in the neighborhood again. Either he and his partner broke up and he moved away or his partner killed him; I’m not sure. I’m just thankful there wasn’t a sequel to that incredibly awkward experience. 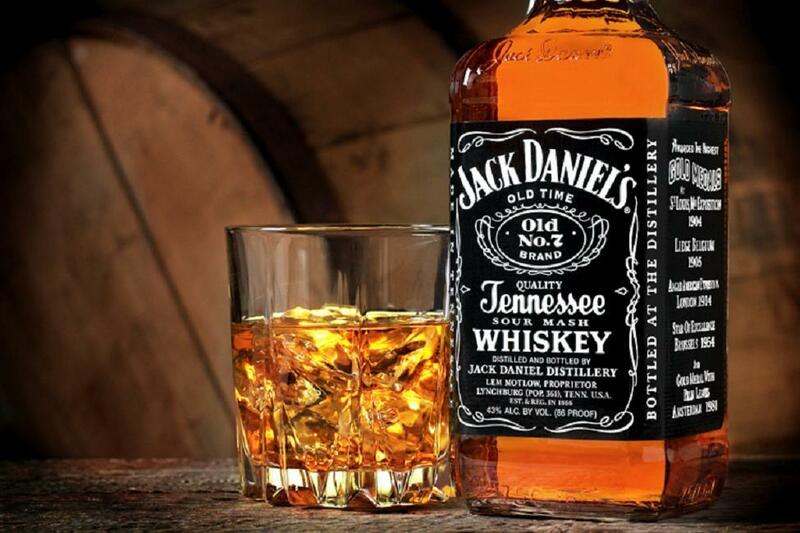 One encounter with Jack “Daniels” was more than enough for me. There’s one customer that’s been regularly coming through my line at the supermarket for the past 11 years who I’ll never forget. Let’s call her Meat Loaf. Why Meat Loaf, you ask? Why would I besmirch this legendary rocker’s good name by comparing him to one of my certifiably insane customers? Well, one day I was talking with a manager about her and he said, “Oh yeah, I know who you mean. She looks like Meat Loaf on a bad day.” Needless to say, the phrase “bat out of hell” has taken on a whole new meaning for me. So what makes Ms. Loaf so crazy? Read on my inquisitive friend. The first time I met this woman she told me that I looked like her son, who was taken away from her by Children and Youth Services. Then she proceeded to hit on me by saying in her gravely Joe Cocker-esque voice, “Do you have girlfriend, honey? When it comes to me, you can look but you can’t touch. Ha, ha, ha!” After being disturbed and feeling violated, I did my best to get her out of my line as quickly as possible. Since this first meeting, I’ve run into her many times inside and outside the store. I’ve had the misfortune of bumping into her twice while on a date. The first time we made eye contact and she said, “Look at you! Reeled in another one, huh? Ha, ha, ha!” The second time she yelled at me and my date from across the street, “She’s a hottie! You better hold onto her.” The most embarrassing part is trying to explain to my date just exactly who she is. Lord knows I don’t want them thinking I had a romantic history with this woman. Nowadays, this customer has aged dramatically. She has fewer teeth, deeper lines on her face and her hair is tattered. 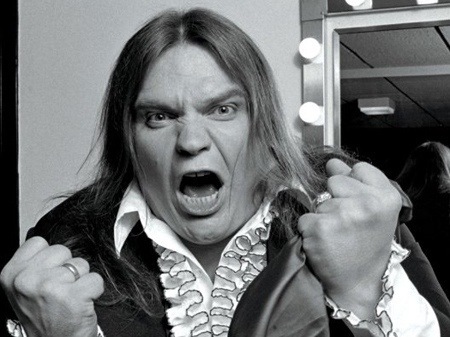 Meat Loaf’s excessive “recreational” activities haven’t served her well, and it’s a shame. The good news is, her son is in college and doing well – or at least that’s what she tells me. While I love Meat Loaf as a performer and an entree, I’ll pass on Meat Loaf the customer. 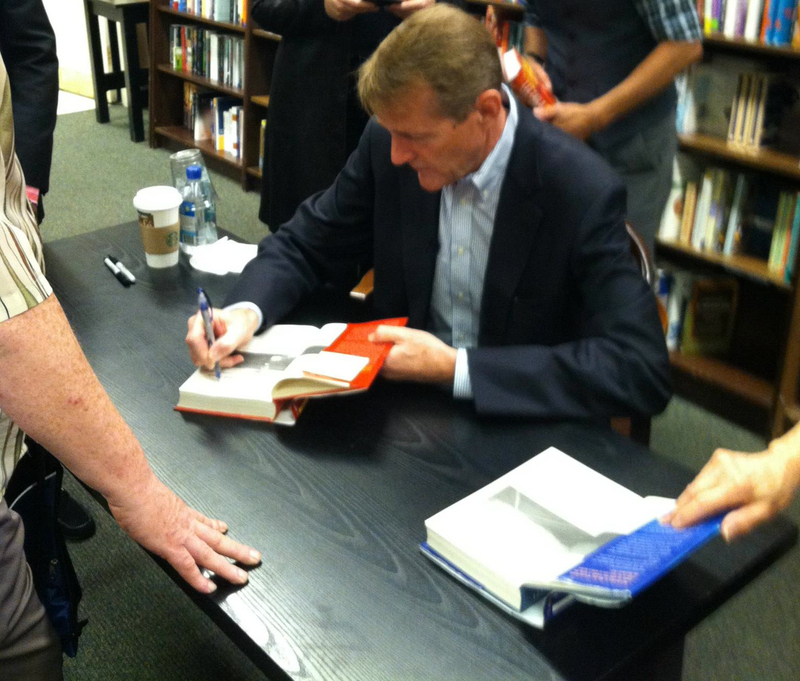 Yesterday, I went to New York City to meet Lee Child, author of the famous Jack Reacher novels. 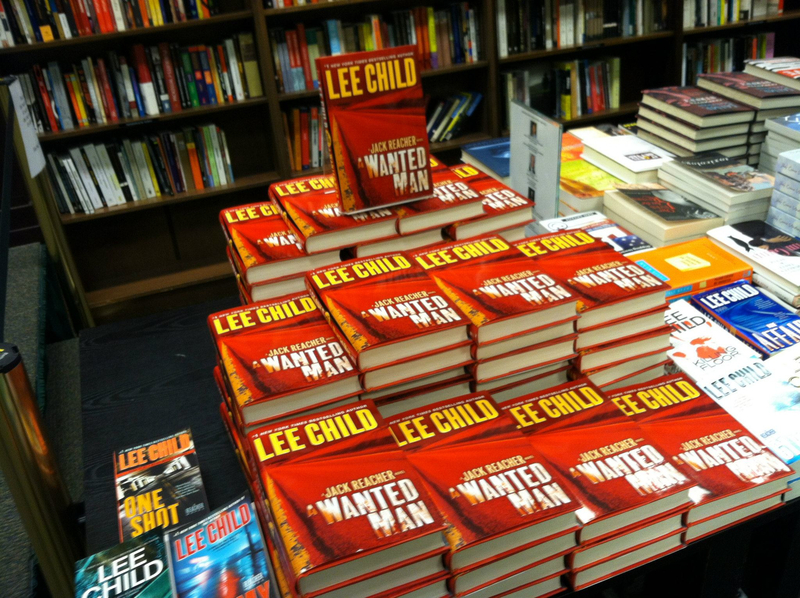 I took off from work and enjoyed a beautiful day in NYC before stopping by the Barnes & Noble where Child would be speaking and signing copies of A Wanted Man, his newest Reacher novel; the 17th in the series. Upon my arrival, I bought a copy of Child’s new novel and went upstairs with the dinner I bought at Artie’s Delicatessen – you can’t go wrong with chicken fingers and french fries. Going into the event, I was a little nervous because, up to that point, I had only read three of the 17 books. And I didn’t want anything in the series spoiled by Child or the fans. While I waited for Child to arrive, I listened to the last few chapters of Running Blind, the fourth novel in the series, and chatted with nearby fans. Before I knew it, it was 7 p.m. and Child was being introduced. According to Child, “60 percent of adults in the UK have never read an entire book.” They may have read magazines or parts of a book, but adults across the pond aren’t nearly as well read as Americans. Therefore, he made sure Jack Reacher and his first novel was targeted towards a U.S. audience. Clearly, it worked. Another interesting thing he spoke about was the two recent, digital short stories he’s written in between Reacher novels. He said the publisher likes him to release these as a way to figure out which version of the upcoming novel people will be buying (i.e., digital or print). And it encourages people to pre-order his novels sooner than usual. However, Child is still undecided about whether or not he wants to continue writing them because fans get confused by their brevity and end up giving them bad reviews. 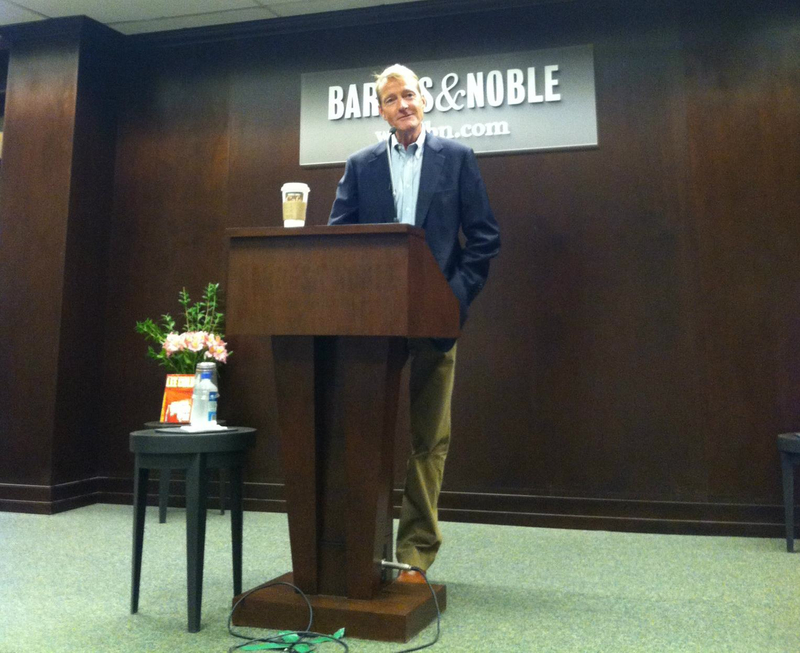 Overall, I had a wonderful time at the book signing. Child is a terrific author and a charming man. 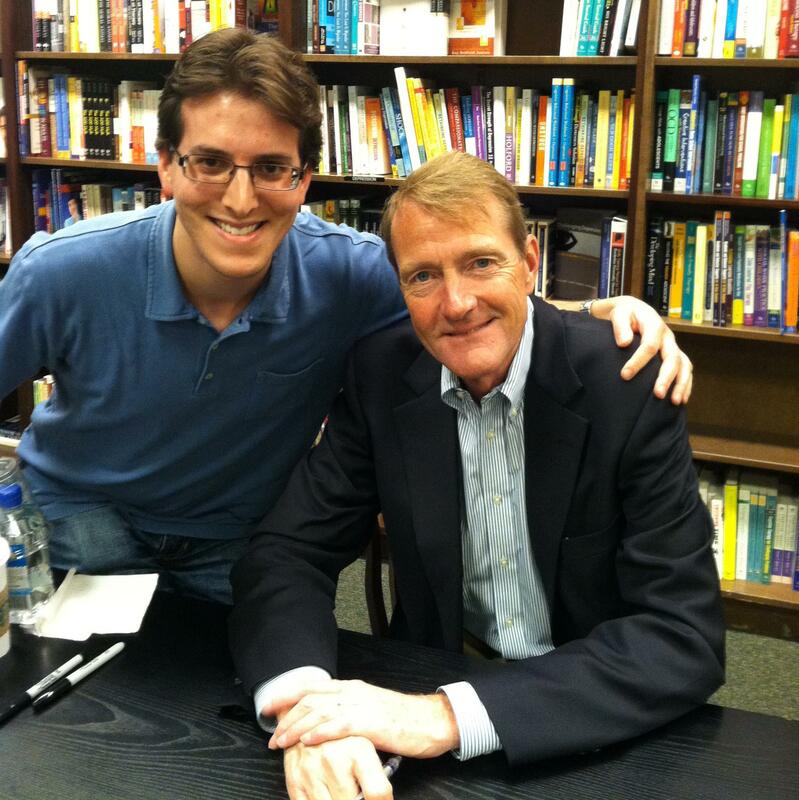 Since he lives in NYC, Child always has a book signing in the area. That said, I’ll be sure to stop by in 2013 when the next Reacher novel is invariably released. Whether or not I’ll have finished the remaining 13 books in the series by then is another story. Day after day, you fill my life with hope and carry me away. You’re an enchanting enigma, and I’m spellbinded by your complexity. When I’m down, you make me smile. And sometimes I can’t get you off my mind. You’re infectious and magical. I peel back your layers and continue to learn something new. You fill me with elation and embody my soul. A life without you isn’t worth living, for you make me whole. You make me laugh, cry and chill me to the bone. As long as we’re together, I know I’m home. Our love affair is 27 years old, and I can’t wait to see what tomorrow brings. You’re profoundly beautiful…you’re my everything. 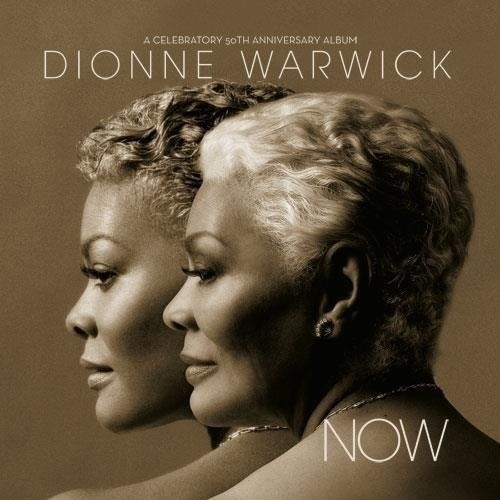 To celebrate 50 years in show business, Dionne Warwick’s upcoming album, Now, produced by Phil Ramone, will feature four new songs written by Hal David and Burt Bacharach. While I look forward to hearing the rest of the album, these four songs will serve as a reminder of the magic these three musical giants created when working together. Below is a 14-minute medley by Dionne Warwick, in 2000, during a tribute to Burt Bacharach and Hal David, as well as a lesser-known, but beautiful Bacharach-David song, “Sunny Weather Lover.” Enjoy! 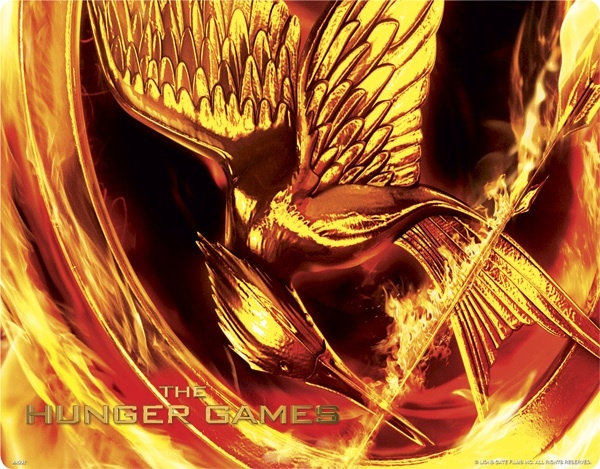 The Hunger Games has become a pop culture phenomenon. Seemingly overnight, these books catapulted to the top of the best-seller charts and have remained there. Then came the movie, which grossed nearly $700 million since its release this past March. And you can rest assured that many children – and adults – will be dressing up as Katniss, Peeta and, perhaps, Haymitch for Halloween. Having just finished all three books, I’d like to share my thoughts on this trilogy. If you haven’t read the books, stop here because key plot points will be revealed. I still think the first book is the best in the series. Being introduced to all of the characters and the nation of Panem for the first time was a delight. And unlike the movie, the book allowed relationships between characters to develop at an excellent pace. For example, when Rue died in the book, I was legitimately upset because I had spent hours getting to know her. In the movie, it seemed as if she died as quickly as she appeared. Furthermore, the romantic confusion between Katniss, Peeta and Gale was incredibly well done. But one of my favorite characters in the book was Haymitch. While he originally came off as a drunken fool, he was later revealed to be quite intelligent and an invaluable resource for Katniss and Peeta to call on while trying to survive the Hunger Games. 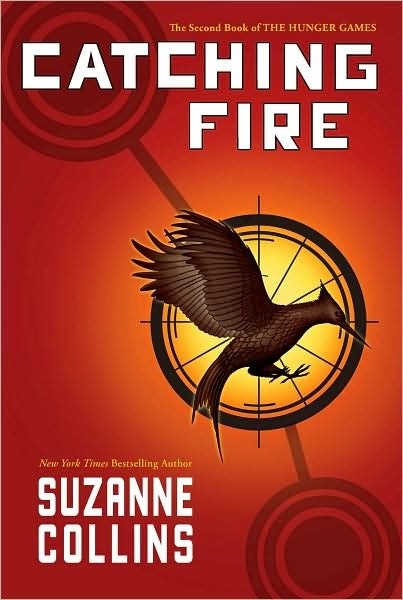 Many fans consider Catching Fire to be the best in the series, but I’m torn. 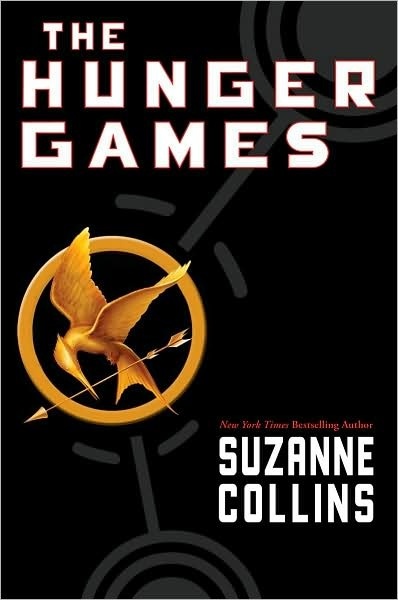 It did a wonderful job of picking up where the last book left off, while also further exploring Katniss’ relationships with Peeta and Gale. Moreover, it introduced new, memorable characters and killed off another important person in Katniss’ life: Cinna. And it took the Hunger Games arena to another level by turning it into a clock with a variety of surprises for the tributes. However, I still feel it lacked a certain something that the first book had; I just can’t put my finger on it. Either way, it was a terrific read, and just like the first book, my favorite passage was at the end of the book. I recognize that voice. It’s the same one he uses to approach wounded animals before he delivers a deathblow. I Instinctively raise my hand to block his words but he catches it and holds on tightly. But Gale is not one to keep secrets from me. I just finished Mockingjay today, and I wasn’t sure what to expect. I know many fans were upset with how the series ended, but I wasn’t. 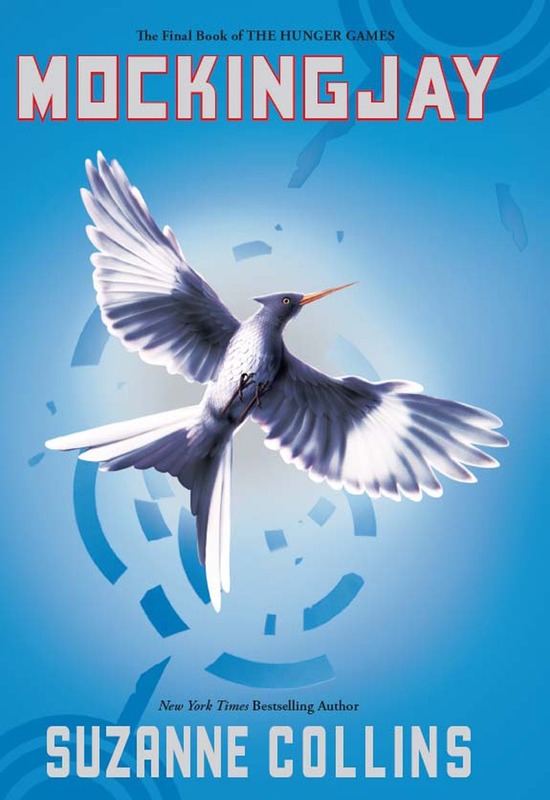 In the beginning of the book, reading about Katniss becoming the Mockingjay and the face of the rebellion was fascinating. However, it seemed to drag a little in the middle, and then it picked up towards the end. I enjoyed the twist where President Snow revealed that the newly appointed President Coin was the one who ordered the final assault on the rebels that killed Prim. In the end, both Coin and Snow died, so I was happy. And considering the “romantic” relationship between Katniss and Peeta was the focus of this trilogy, I was perfectly fine with her winding up with Peeta instead of Gale, especially since his creation was used to kill Prim. Overall, this was a very enjoyable trilogy. If you like your novels packed with action, drama and romance, you should give these books a shot. And while you’re at it, check out the movie too; while it wasn’t perfect, it did the first book justice and has me excited for the sequel. To whet your appetite, I’ve included the trailer below. I’ve been blogging for less than a month, and today I was surprised with my first award. One of my followers, Hollin Scott, presented me with the “Very Inspiring Blogger Award,” which I now proudly display on my new “Awards” tab. Being recognized for doing good work is always a wonderful feeling, and I’m glad my blog brings enjoyment to my followers and visitors. Since this award deals with inspiration, I’d like to share with you a song I’ve always found inspirational; it’s All The Time by Barry Manilow, and it’s about believing in yourself and realizing there are other people in the world just like you. As writers, we convey emotion through words so the reader can identify with what we create. This song’s beautiful lyrics resonate in a way that is mesmerizing, and Manilow’s heartfelt delivery only makes them more impactful. I’m certain you’ll be moved, and, who knows, maybe even inspired.